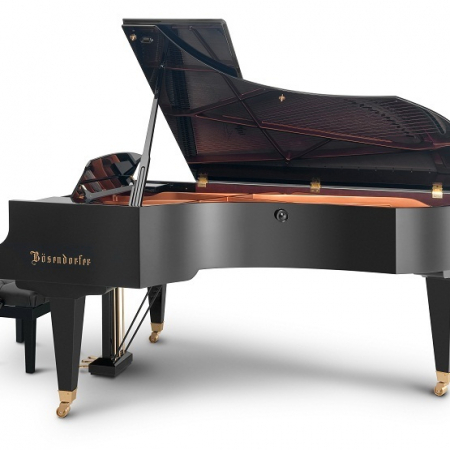 The 50,000th Bösendorfer Grand presents itself perfect in form and elegance. 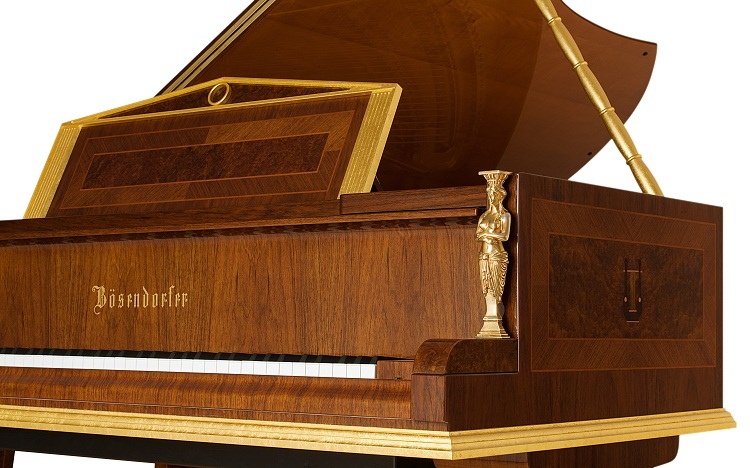 This instrument, made on the occasion of the 185th anniversary of Bösendorfer, combines exquisite sound with the aesthetic beauty of neoclassical Vienna. 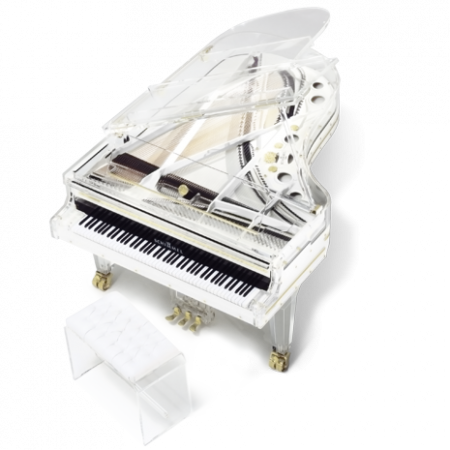 In 1867, the architect Theophil Hansen – who was also responsible for the design of the Wiener Musikverein concert hall – and Anton Grosser designed pianos for the World Exhibition in Paris. In a sense, both of these original instruments are the godfathers of Opus 50,000. 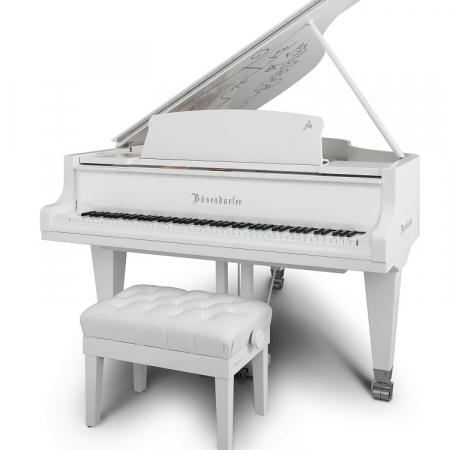 A vital stylistic element – the elegant and delicate use of gold – characterizes the design of this instrument. 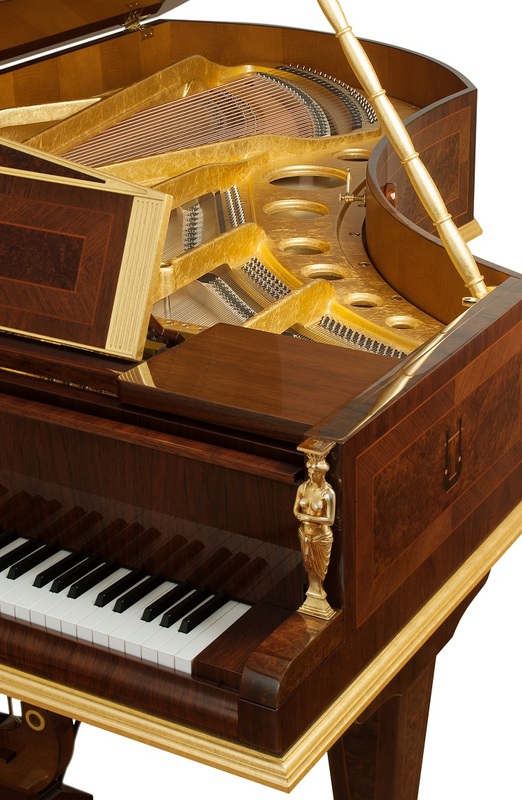 Covered with gold leaf, the sublime golden interior of the piano permeates the body of the instrument. Not boastful pomp but exquisite elegance. 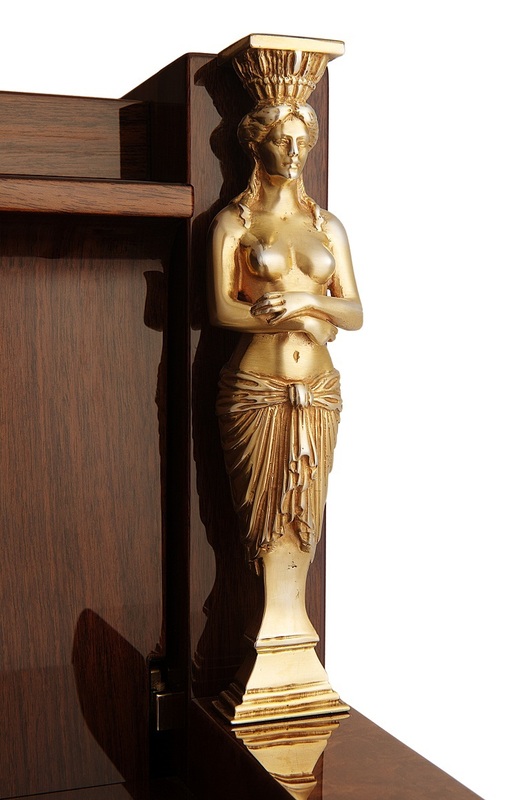 Inspired by the golden caryatids that still adorn the concert hall of the Wiener Musikverein, two of these figures decorate the front of the instrument. The caryatids were cast in bronze using the traditional lost wax technique, before they were gilded using 24 carat gold. 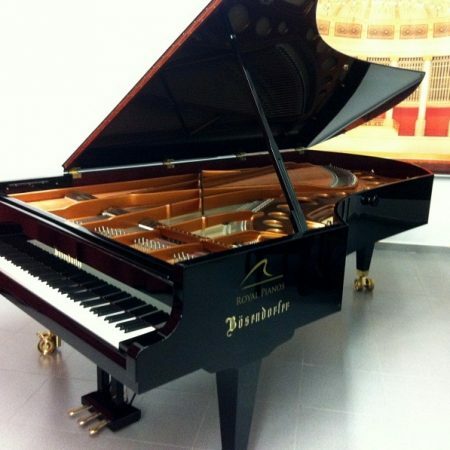 This unique piano is not only an enchanting instrument, but also an unforgettable piece of Vienna. pomp but exquisite elegance. 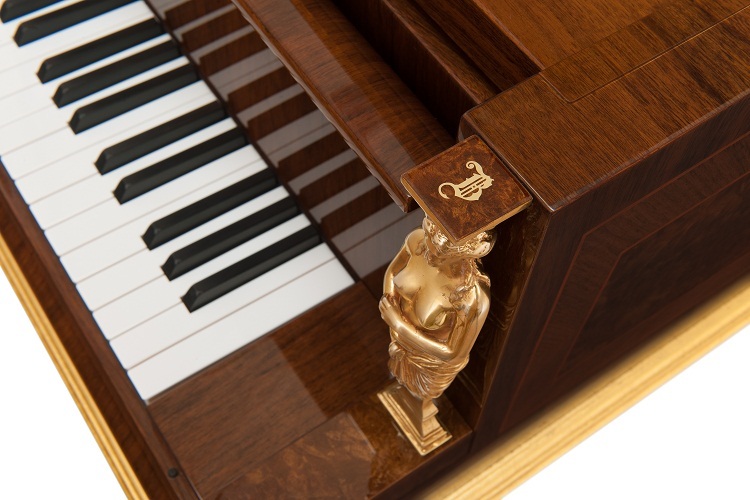 Inspired by the golden caryatids that still adorn the concert hall of the Wiener Musikverein, two of these figures decorate the front of the instrument. The caryatids were cast in bronze using the traditional lost wax technique, before they were gilded using 24 carat gold. 101.800,00€ 94.674,00€ IVA incluido ¡Oferta!